Just click the "Instant Download" button to the right of this page and you will be taken directly to our secure server for payment and download instructions. Once your payment is processed you will be automatically redirected to our download page where you will be able to download your purchase. Remember, your 100% satisfaction is our guarantee. We're so sure that you will be pleased with how we over deliver that if you have a problem with your purchase and are not completely satisfied, just let us know and we will promptly give you a full refund.....GUARANTEED! 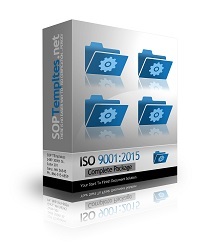 Just click on the "Instant Download" button to the right and have our "ISO 9001:2015 Complete Package" on your hard drive just minutes from now!